The conference keynote will be held by Christophe Dubach. Abstract: Algorithmic patterns have emerged as a solution to exploit parallel hardware and achieve performance portability. Applications can easily be expressed at a high-level, hiding hardware complexity away from programmers and shifting the responsibility to the library writer or compiler. However, producing efficient implementations remains a complicated task that needs to be repeated for each high-level pattern and whenever hardware changes. In this talk, I will present Lift, a novel high-level data-parallel programming model. The language is based on a surprisingly small set of functional "elementary" primitives which can be combined to define higher-level algorithmic patterns. A system of rewrite-rules is used to derive device-specific optimised low-level implementations of the algorithmic patterns. The rules encode both algorithmic choices and low-level optimisations in a unified system and let the compiler explore the optimisation space automatically. Preliminary results show this approach produces GPU code that matches the performance of highly tuned implementations of several computational kernels including linear algebra operations. 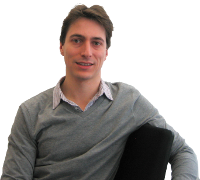 Short Bio: Christophe Dubach received his Ph.D in Informatics from the University of Edinburgh in 2009 and holds a M.Sc. degree in Computer Science from EPFL (Switzerland). He is a Lecturer (Assistant Professor) in the Institute for Computing Systems Architecture at the University of Edinburgh (UK). In 2010 he spent one year as a visiting researcher at the IBM Watson Research Center (USA) working on the LiquidMetal project. His current research interests includes high-level programming models for heterogeneous systems, co-design of both computer architecture and optimising compiler technology, adaptive microprocessor, and the application of machine learning in these areas.